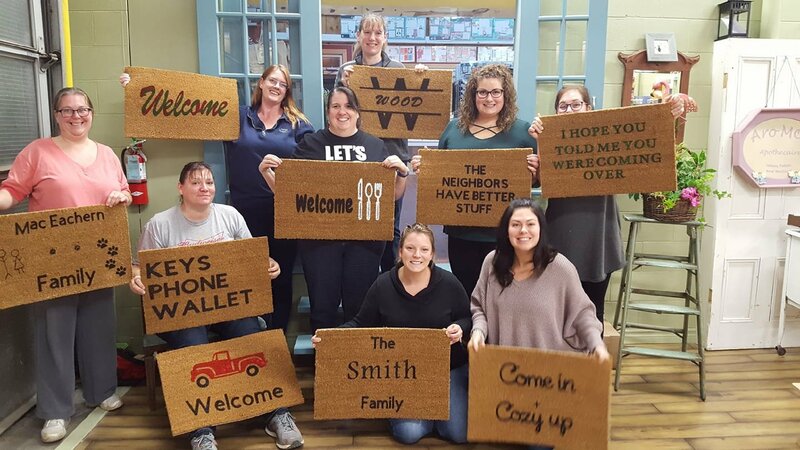 April 24th 4-6 Mat Class Create a one of a kind mat. Pick from the many different quotes andSayings on Pinterest or come up with your own. Details for the mat design must be sent to us by April 19th the latest so that we canhave your stencil cut and ready to go.